More than 28.2 million passengers passed through the UK’s third largest airport in the last 12 months. Popular holiday hot spots included Turkey with passenger numbers to Antalya up 50 per cent and Dalaman 30 per cent versus 2017. Agadir also saw a significant increase of 95 per cent. Looking further afield traffic to Hong Kong was up 39 per cent and Muscat was up 34 per cent against 2017, showcasing the increased demand for long-haul connectivity from the Northern hub. It was a significant year for the airport as it celebrated its 80th birthday and progressed works on its £1bn transformation. The UK’s third largest airport also added further long-haul connectivity with new routes to Seattle with Thomas Cook Airlines, Mumbai with Jet Airways and Addis Ababa with Ethiopian Airlines. In all these cases, Manchester is the only UK airport outside of London to offer such services. 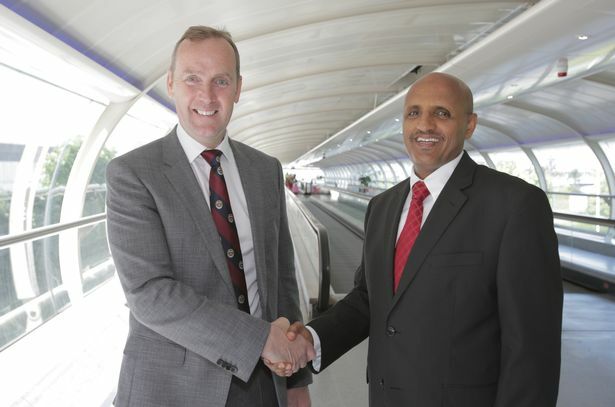 Andrew Cowan, Manchester Airport CEO, said: “Now we are into a New Year, excitement is really building about the delivery of the first phase of our £1bn transformation programme. “There has been impressive progress on what is the biggest investment in our history and in April, the first brand new pier will open to passengers. I look forward to celebrating the occasion with customers, airlines and other partner organisations. Last month close to two million (1,956,784) passengers passed through the terminals making it the airport’s busiest ever December, an increase of 7 per cent on 2017. For the Christmas getaway between the 21st and 31st of December more than 715,000 people flew in and out of the airport, up from 655,000 for the same period the previous year. In April 2019 the first pier will open as part of the airport’s ongoing £1bn transformation programme. New road ways and a new multi-storey car park will also open at the same time. Work is also continuing at pace on the terminal extension that will open from Summer 2020.